Hello Warriors, Giants, Wizards, Heroes, Champions and Dragons! We are pleased to open the official forum of Heropath: http://unique-games.com/asp/forum.asp#forum - Registration is free of charge. The forum also contains FAQ which include questions you have asked! You can (and should) raise any other question you may have, share your experience from the game, consult with other players and more! So... Who would be the first to defeat the dragon?! We are very excited to announce that your copies of Heropath are now at the warehouse of the fulfillment and air shipping company... Hooray. We believe that by the end of the week all packages will be sent out to you, and the tracking numbers will be provided at the beginning of next week! 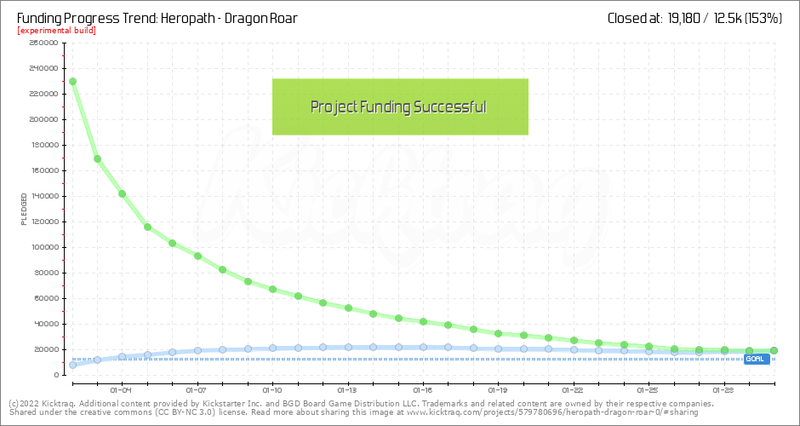 This will help us release new expansions of Heropath as well as new games. During the assembly, we discovered a minor malfunction in the dragon miniatures - we asked Longpack to fix it immediately and so they did. So luckily we have got this on time and we are doing our best to solve it with the factory! Our factory contact apologizes for the delay, and they assured us that they would be ready by November 16th. Then it is a matter of several days of preparing the shipments. Finally, the whole game is ready, including all components! The factory is currently at the assembly stage. It will take another few days, but do not worry, the game looks great and we are really happy with the quality! Once this process is completed we will handle the air shipments to you! We are glad to say that we managed to deliver a small amount of games out of the production line to Essen! And after a nerve-wracking process with a tight schedule, the shipment has arrived last night !! It was very important for us to introduce Heropath in Essen and we are receiving great feedback. Izik Nevo, the creator of Heropath, is present at the booth and will be happy to meet you, answer any questions and guide you through the game. Also - It is possible to pick up your copy at our booth!! However, keep in mind that this will not save you the shipping costs as these copies will also be shipped especially by air.